What Are You Sowing Into 2020? I’m excited to let you know that my book is now available on Amazon! Has your heart been filled with longing to know how to enter God’s presence? Has there been a desire to not just touch His presence, but learn how to cultivate and abide in His presence? 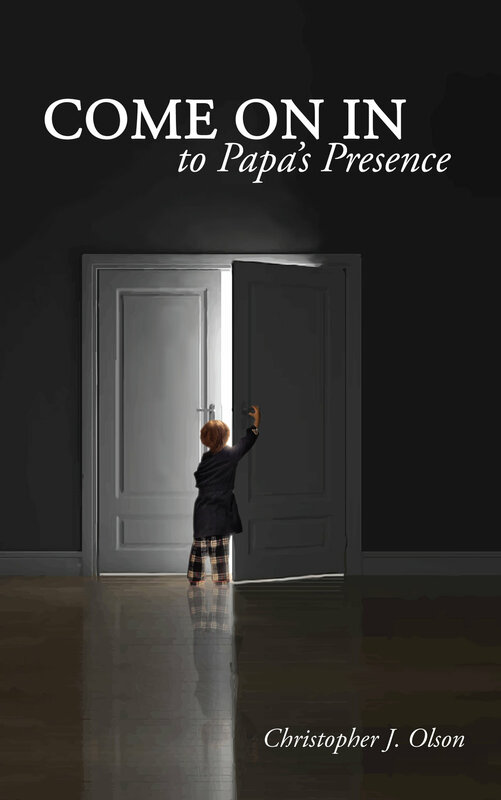 Come On In To Papa’s Presence teaches theologically and practically, with Scripture and stories, how to live life in Papa’s presence. Through this book, allow the Holy Spirit to take you on a journey of overcoming barriers that keep us from His presence and experiencing the depths of His love. As you go on this journey, don’t just read about the encounters in this book, but invite the Lord to take you into your own experiences with Him. If you’ve never experienced His presence, let this be a tool in the hand of God as you begin your journey. If you’re already acquainted with God’s presence, let this book be an invitation to go deeper than ever before. For more facebook live videos, visit my facebook page. In the church, when we speak of pursuing God, seeking His face, or drawing near to Him, one of the challenges we run into is our concept, or rather misconception of who God is. There are some who would teach that because we are now in the New Covenant under grace with the indwelling of the Holy Spirit, there is no need to pursue God as we already have Him. While it is theologically true that we “have Him”, that doesn’t mean that all of us are experiencing all of God in every area of our lives. Any theological concept that is only understood in a vacuum, that is to say only in theory not in relationship, can easily lead us astray. Let’s apply this concept to marriage. Hallelujah, my girlfriend agreed to marry me! We had a covenant ceremony called a wedding, and now we’re in a marriage relationship. Now I don’t have to seek her, I don’t have to pursue her or seek her face. Does this sound odd? It does sound rather odd, because most of us never speak like this referring to our spouse. It is true that I don’t have to seek my wife in the sense that I lost her. I didn’t accidently leave her at the mall. It’s not like she ran off with a cowboy from Wyoming, and I have to go track her down. At the same time, just because we’re married does it mean it’s okay for me to stop pursuing her heart? Does it mean it’s okay for the romance to cease and for me to stop growing in my love, honor, and appreciation of her? For those who would say that in the New Covenant, we already have it all in the finished work of the cross, I get it. I appreciate that. What we’re not talking about is seeking after God as someone who doesn’t know Him and is seeking to find salvation. We have discovered what true salvation in Christ alone is: by grace through faith. Now having discovered true salvation in Christ, we are no longer seeking for salvation, rather we are seeking to know the God of our salvation even more. I no longer pursue my wife so she will marry me; we’re already married. I do pursue her to know her more and to love her better. How are you pursuing Him today? I'd love to hear about it in the comments. He Saved the Best Wine For Now! Does anyone really need 180 gallons of wine? Apparently, Jesus thinks so. He's so extravagant with wine and bread. A son of God who only sees himself as a sinner fails to recognize the fullness of what Christ accomplished for us on the cross. By giving us a new nature He gave us a new identity. If I am saved from sin and washed clean in His blood but still define myself by sin by calling myself a present tense sinner, I’m contradicting the victory of the cross. For the child of God who recognizes the free gift of righteousness granted to him in Christ yet never stops to thank God for saving him his sins and from being a sinner fails to humbly acknowledge where he has come from. When we fail to remember what the grace of God saved us from we are in a dangerous place. If you know anything about me, you know that I LOVE God's presence. In this video, I share a secret to living in God's presence long term. What Am I To Do With Myself? It can feel a little confusing after a while hearing so many ideas on how to treat yourself. As any good parent would know, it’s not one or the other. They’re both essential, but which one you use at a given moment depends on the context. Affection and correction are both necessary, but to give one at the time when the other is needed is a recipe for disaster. I remember many years ago, when many pastors were worried about psychology slipping into the church as many began to teach that we should love ourselves. This was quite controversial at the time. At first, as a young man, I championed the cause that said as Christians we are not called to love ourselves, but strictly die to ourselves. I was young and zealous, but had little understanding. One day this thought occurred to me: one of the goals of the Christian life is to see everything and everyone through God’s eyes, including myself. I simply thought, “Does God love me? Yes, He does. So, I want to agree with God.” As a follower of Christ, I know that God is holy, and He hates sin. Therefore, as a child of God, I want to be like my Father. I, too want to be holy and hate sin. In the same way, God, who is perfect love, loves me. I simply want to come into agreement with God and love myself. Jesus says in Luke 9:23 that we are to deny ourselves, take up our cross, and follow Him. Obviously, there is a place for self-denial in the life of a Christ follower, as Jesus commands it. But what does that mean? Does it mean I am to hate the color of my eyes? Hate my skin color? Despise my God-given personality or avoid any form of pleasure? Go on a 40-day fast every 41 days? Certainly, it can’t mean these things. After all, it is God Himself who gave me my eye color, my skin tone, and my personality. He also says in Psalm 16 that at His right hand are pleasures evermore. My ultimate good and God’s glory are not contradictory. God is jealous for His glory and, as a loving Father, He wants what’s best for us. Those two things go hand in hand: our good and His glory. Therefore when He calls us to deny ourselves, it’s for our ultimate good and His own glory. 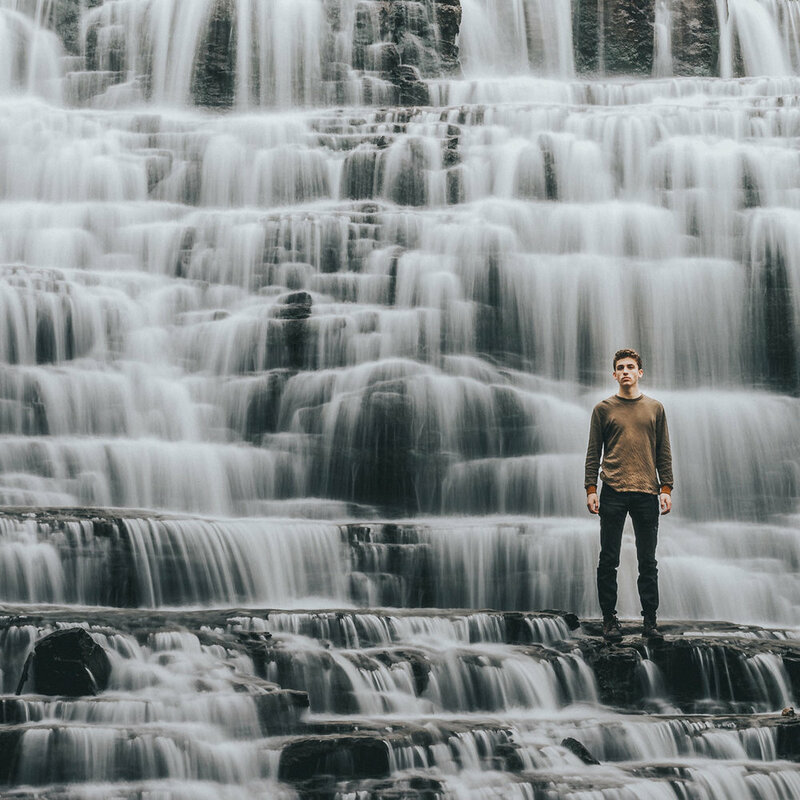 Whatever your view of self-denial is, be sure of this, true Christian self-denial is rooted in God’s glory and His desire for us to thrive in the long run. How Can Jesus Be the Source of Peace? I want to share this excerpt from an Andrew Murray devotional on God’s love. If we don’t learn to receive God’s love in our own hearts, we will never truly be able to love the people around us. Let God speak to your heart, as he has mine, from a man of God whose words still live on today. “As the Father loved me”. How can we rightly comprehend this love? Lord, teach us. God is love, love is His very being. Love is not an attribute, but the very essence of His nature, the center around which all His glorious attributes revolve. As one of His redeemed ones, you are His delight, and all His desire is to you, with the longing of a love that is stronger than death, and which many waters cannot quench. His heart yearns for you, seeking your fellowship and your love. If it were needed, He would die again to possess you. As the Father loved the Son, and could not live without Him—this is how Jesus loves you. His life is bound up in yours; you are to Him inexpressibly more indispensable and precious than you can ever know. When it was needed, He sacrificed His throne and crown for you. He did not count His own life and blood too dear to give for you. His righteousness, His Spirit, His glory, even His throne—all are yours. This love holds nothing back, but in a manner than no human mind can grasp, makes you one with itself. O wondrous love! Love gives all, but also asks all. It does so not because it begrudges us what has been given, but because without this, it cannot get possession of us to fill us with itself. In the love of the Father and the Son, it was so. In the love of Jesus to us, it was so. In our entering into His love to abide there, it must be so; our surrender to it must have no other measure than its surrender to us. If we could grasp even a part of its knowledge, all thought of sacrifice or surrender would pass away, and our souls would be filled with wonder at the unspeakable privilege of being loved with such love, of being allowed to come and abide in it forever. I had the chance to minister at BCC Church in Ames, IA on Super Bowl Sunday. You can listen to what I shared here. Today I want to challenge you, as I have been challenged, with this excerpt from an Andrew Murray devotional on humility. Truth is not always easy or comfortable, but in the end it is what sets us free. Let God speak to your heart, as he has mine, from the heart of a man of God whose words still live on today. It is a solemn thought that our love for God is measured by our everyday relationships with others. It is easy to think that we humble ourselves before God, but our humility toward others is the only sufficient proof that our humility before God is real. To be genuine, humility must abide in us and become our very nature. True humility is to be made of no reputation - as was Christ. In God’s presence, humility is not a posture we assume for a time—when we think of Him or pray to Him—but the very spirit of our life. It will manifest itself in all our bearing toward others. A lesson of deepest importance is that the only humility that is really ours is not the kind we try to show before God in prayer, but the kind we carry with us, and carry out, in our ordinary conduct. The seemingly insignificant acts of daily life are the tests of eternity, because they prove what spirit possesses us. It is in our most unguarded moments that we truly show who we are and what we are made of. The humble person seeks at all times to live up to the rule “Serve one another; consider others better than yourselves; submit to one another.” The humble person feels no jealousy or envy. He can praise God when others are preferred and blessed before him. He can hear others praised and himself forgotten because in God’s presence he has learned to say with Paul, “I am nothing.” He has received the spirit of Jesus, who pleased not Himself and sought not His own honor as the spirit of His life. Have you ever heard someone teach on 12 steps to spiritual breakthrough to overcome sin and satan in your life? And some of those several steps can only be effectively applied if you know the true original meaning of the name Jebusites. And only if you’re fully aware of the kind of armor that the Hittites wore in battle. And you really can’t be victorious unless you pay for this online course, can read Greek, understand ancient Hebrew, have a prayer cloth anointed by a famous evangelist, and all the stars align correctly. Does that sound like a recipe for a breakthrough or does it sound nearly impossible? Sometimes I come across a verse that reminds me of how simple God makes it. Read Deuteronomy 30:11-14 and tell me if you think it’s too complicated. For this commandment that I command you today is not too hard for you, neither is it far off. It is not in heaven, that you should say, who will ascend to heaven for us and bring it to us, that we may hear it and do it? Does that seem too complicated? When I read this passage of scripture, I feel like God is addressing a victim mentality. He deals with our mindset right up front, with the tendency to say it’s so hard, the answer is so far away. But in this passage, God tells His people, the word is near you. It is in your very mouth and heart. I'm not saying there are not very complex issues in our lives, but at the end of the day God makes it simple for us to obey. It does not mean that it’s easy; it just means that it’s not overly complicated. Whatever He commands us to do, He will give us the grace to accomplish. God is a good, loving Father. He doesn’t make it too complicated, and He can be trusted. A God like that can and should be obeyed. Do you want to know God's will for Your life? Many believers are stressed out trying to know God's will. Sometimes we think it's hard since we can't look up a specific verse in the Bible that will tell us who to marry, where to work, or in which city to live in. These things would fall into the category of "God's Specific Will for Our Lives". They are important to know. It's also very important for us to know God's general will for our lives, that which is true for every believer. We have what is God's general will for all believers right here in Paul's letter to the Thessalonians. 1 Thessalonians 5:16-18 says, "Be joyful always, pray continually, give thanks in all circumstances, for this is God's will for you in Christ Jesus." Be joyful always. It sounds so simple, yet it is so challenging. Yes, it actually says "always." Then pray, continually. That means all the time. Give thanks in all circumstances, not just in good circumstances, but in ALL. These three things are very simple. It does not take a PhD in Theology to understand them. It does take the power of the Holy Spirit to practically apply them to our daily lives. Thankfully, I can say that I'm doing a lot better in applying these verses to my life than I did years ago, but I cannot honestly say that I practice them "always, continually, and in all circumstances." I'm still in the process of getting my mind renewed and yielding myself to the Lord as He matures me in Christ. Some might say, “I'm not interested in being joyful all the time, I just want to know God's specific will for my life.” Maybe God's specific will is for you to marry Jane, but Jane isn't attracted to grumpy men. Therefore, embracing joyfulness always will lead you to God's specific will—Jane, who is now attracted to your joyful attitude and positive outlook. This passage tells us to pray continually. If your only perspective of prayer is you talking to God, I'm not sure this is possible. If you understand that prayer is a dialogue, it's not just us talking to God, but it's also God talking to us, then praying continually is much more doable. It takes maintaining a humble heart with a listening ear inclining itself to hear God speak at any time. Maybe you're trying to discover God's will for your job situation. You could be frustrated with the job you currently have and contemplating changing jobs. Maybe you should. Maybe you shouldn't. You might not know God's specific will for your job situation, but we know that His general will is for you to give thanks in all circumstances including the job that you currently have. Maybe your complaining attitude is what keeps your boss from giving you the promotion that you would like to have. Instead of holding on to a bad attitude, if you would embrace giving thanks in all circumstances with an attitude of gratitude, you might find that favor starts to come your way and that people will want to work with you. Obeying God's general will for your life will often pull you into knowing His specific will for your life. I would propose that complaining and negativity stop up our ears from hearing God's voice in the continuous dialogue of prayer. Joyfulness and thanksgiving open up our ears to hear the Father's voice and tune our spirit's ears to the frequency of heaven so we can know God's specific will for our lives. If our only view of worship is a song, a sound, a musical style or whoever we perceive to be the latest, coolest worship band or leader, then we’re seeing it all wrong. How much do our lives attribute worth to God? Do we really see Him in all of His holiness, majesty and perfect love and give Him the corresponding worship He deserves? Do you know where worship is first mentioned in the Bible? The setting in which we find the first mention of worship in Scripture is not one of electric guitars, drums or pianos, neither is it a setting of cymbals clashing or choirs singing, it’s not even a vocal soloist. We find no images of worship bands and worship leaders, no music at all. Not the latest worship chorus off of a recording from a great church or even an old hymn being sung. The context in which we first find worship being mentioned in Scripture is in the book of Genesis when Abraham went to sacrifice his son of promise. When God told him to sacrifice his son, his response was one of quick, surrendered obedience. It says that He got up early the next morning to go sacrifice his son. What does he say while he is on his way to sacrifice? He says that he is going to worship. Why? Because through his obedient sacrifice he was declaring that God is worthy and that God had more value to him than even the strong, intimate, powerful bond between a parent and a child. Abraham was demonstrating the worth of God in his life. In light of this, do you live a life of worship? I absolutely hold to the biblical understanding that God is sovereign, most any Christian would say they ascribe to that notion as well. But then the question becomes, what do we mean by the sovereignty of God? The word sovereign is a compound word that means to reign over or reign above. We know that throughout human history, there have been sovereign kings in different nations. Those rulers had the supreme authority in their country. Did that mean that each sovereign king controlled every little detail of everyone’s decisions in their country? Of course not. But, people’s personal choices under his rule didn’t lessen his sovereignty. We can see, in the realm of human beings, that a ruler can be sovereign while people under him still have freedom. It seems pretty clear that Jesus is being very direct here that there’s no middle ground. It’s pretty black and white. According to what Jesus says in this passage, who is the one who measures how much we will receive? The devil? God, who is controlling all things? Or us? We determine it by what we measure to give to others. Again, God is sovereign, and we are not, but there is a whole lot of freedom, and thus responsibility that He delegates to us. NO! It doesn’t say that! It says that WE reap what WE sow. So, who has God empowered in your life to determine what you reap? The devil? The government? Your parents? Your grandparents? Your in-laws? Your boss? The answer is, you. He has empowered you to determine what you are going to reap according to what you sow. I understand that this might come off as an over-simplification of these principles that are at work in the fabric of the universe. While I might run the risk of over-simplification, the fact is many of us make God’s principles too complex. We need to embrace the simplicity of what the Word shows us clearly, as taught by Christ and reaffirmed by Paul’s teaching. God is sovereign - He rules and reigns over everything - and He has delegated responsibility to us.